HEIDENHAIN has long been enabling manufacturing technology for machine tools and will once again showcase some of the latest during three daily live presentations at the booth’s “Take Ten” area at the upcoming IMTS 2018 (September 10-15) in Chicago. 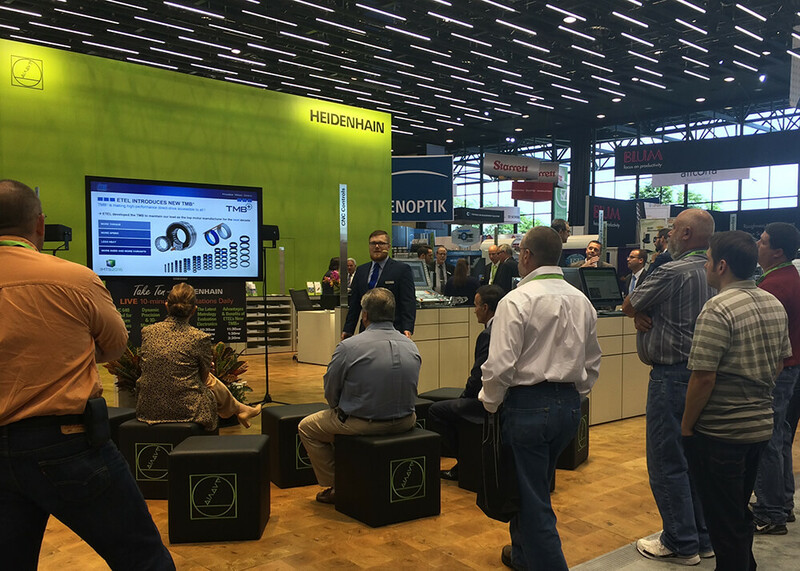 Because of HEIDENHAIN’s extremely large breadth of motion control product lines, each presentation will focus on a different aspect of machining. All of these motion control topic demonstrations include messages of precise control, speed and position — necessary factors of consideration for any type of machining. Limited seating at the booth will be available, so come early to get yours! “Powerful 5-Axis CNC Control” @11 a.m.
A short discussion and demonstration will be held, highlighting the TNC 640 — the most powerful 5-axis control on the market. Here, HEIDENHAIN will present a complete set of turning functions on an advanced milling control. Highlights will include HEIDENHAIN’s Connected Machining components such as the new StateMonitor and Batch Process Monitor software, and will close with insights provided on HEIDENHAIN’s dynamic compensation and smoothing functions. “Thermal Protection for Torque Motors” @1 p.m.
A brief discussion will be offered on the importance of heat management — whether it is to dissipate heat to achieve more power or to ensure your system does not get damaged. Varying heat monitoring methods as well as cooling methods, key datasheet values and how they affect temperature will be discussed. Examples of unique motor designs by ETEL for monitoring and cooling will also be shown. “Rugged, Reliable Metrology” @3 p.m.
A quick review of the shop-floor-ready QUADRA-CHEK Metrology line-up will be given. Whether using a Measuring Microscope, Optical Comparator or Vision System, QUADRA-CHEK has a clean interface that is simple to learn and will allows users to quickly and easily measure and document parts at the touch of a few buttons. Dr. Jens Kummetz, the Head of Product Management for Controls at DR. JOHANNES HEIDENHAIN GmbH, will speak on the opening day of the IMTS Conference (September 10) about an important aspect of manufacturing, starting at 10 a.m. 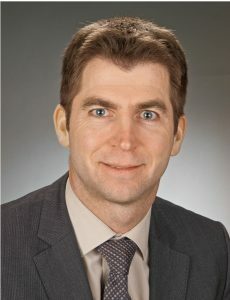 Titled “Efficient Manufacturing Down to Lot Size 1,” Dr. Kummetz promises to bring his expertise to conference visitors, followed by an opportunity for a short Q&A. Attendees must be registered for IMTS Conference.